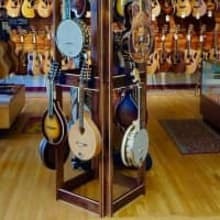 Located in South Kingstown, Rhode Island, Wakefield Music is your complete music store offering RI’s largest selection of sheet music, accessories, gifts, and quality musical instruments of every kind. Now in our 26th year, we are an authorized dealer for Alvarez, Deering, Eastman, Goldtone, Gretsch, Kala, Leho, Kremona, Kamaka, Kanile'a, Martin, Merida, Ramirez, Taylor, Yamaha and more. Visit our showroom in person where you can hear, see, feel and compare with others. I will ship with tracking to the listed regions. To negotiate shipping rates to other locations or faster shipment, please send me a message.